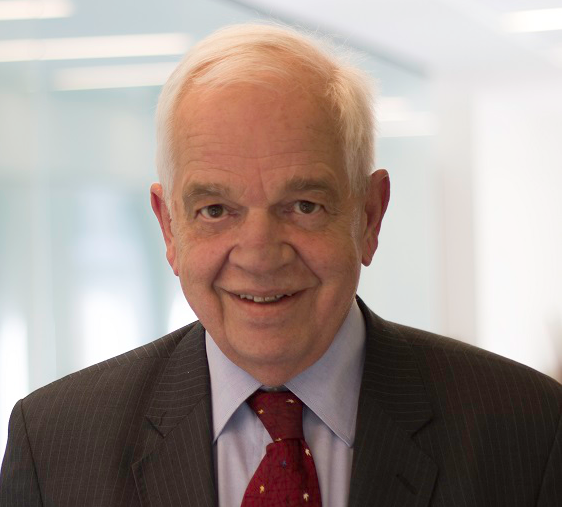 Canada’s new Minister of Immigration, Refugees and Citizenship, is the Honourable John McCallum, who was born in Montreal in 1950. Mr. McCallum brings an almost astonishing list of credentials to the Cabinet table of PM Justin Trudeau. Following his academic career, Mr McCallum acted as Chief Economist of the Royal Bank of Canada for six years. Upon the encouragement of former PM Jean Chrétien, Mr. McCallum first ran for Parliament in 2000, and has been re-elected in his Ontario riding in every vote since. He served in Cabinet portfolios under Mr. Chrétien and under former PM Martin, acting as Secretary of State (International Financial Institutions), Minister of National Defence and Minister of Veterans Affairs over the years. During the last Parliament, Mr. McCallum was official opposition critic for the Liberal Party for Citizenship, Immigration and Multiculturalism, and for Seniors, as well as co-chairing the House of Commons Immigration Committee. In his Co-Chair role especially, Mr. McCallum gained widespread respect among members of the National Immigration Law Section of the Canadian Bar Association for his insightful views on immigration and citizenship issues and legislation. Mr. McCallum has already started his tenure as Immigration Minister with the difficult task of seeking a broad spectrum of support across many sectors of Canadian society to deal effectively with the election promise made by Mr. Trudeau to welcome some 25,000 Syrian refugees to Canada in the coming months. As stated in the Liberal Party’s election platform, the new government is also committed to important changes to some of the rules recently enacted by the Conservatives. Chief among these is to raise the cut-off age when children are considered dependents and thus part of the family unit. The cut-off age will be raised back up to age 22, from the age of 19 enacted by Mr. Harper. This will be a welcome change to help preserve family unity whether in situations of immigration by the family as a unit, or in the case of sponsorships. Speaking of sponsorships, the Liberals further pledged to speed up the processing time for such applications, which had become longer by about 125% during the last three years of the Conservative administration, as well as doubling to 10,000 the number of parents / grandparents sponsorship applications permitted each year. Canada will undoubtedly face major challenges and important choices have to be made in immigration policy during the coming years. Whatever one’s political affiliations, it is encouraging to know that such an accomplished Minister will be in charge of this key department. Mr. McCallum has the academic and practical insight needed to fit immigration and citizenship policy within the larger economic goals of our great country, moving through the 2010s and beyond. We may look forward to having important public debates and consideration of key immigration issues in a more positive setting than we have experienced in recent years. Immigration lawyers especially are welcoming the opportunity of contributing to the delivery of fast and effective solutions for our clients’ goals, rather than our being viewed with suspicion and distrust as had been the case with the last two Immigration Ministers under the Harper regime, dating back to 2008. Stephen Fogarty is an attorney assisting clients in Canadian citizenship and immigration law, as well as special legal services for musicians, at Fogarty Law Firm in Montréal. He is Honorary Legal Advisor to the Embassy of Ireland in Canada. His law firm’s website is www.fogartylaw.ca. The views in this article are his alone and not those of any other person or organization. This article is for information purposes only and is not intended to give or to replace legal advice. Most of this text was originally published in “Nuacht”, newspaper of the St. Patrick’s Society of Montreal.